Motlow State sophomore Leo Castillo eyes the basket during the Bucks’ 95-89 win over Roane State at Copperweld Arena Friday night. Castillo, a redshirt sophomore from the Virgin Islands, had 13 points, eight rebounds and five assists during the victory. On the season Castillo averages 10.2 points, 6.6 rebounds, 3.6 assists and 1.4 steals per game. Photo by Jeff Reed Photography. With the victory, the Bucks (14-8, 10-2) maintain their position at the top of the TCCAA standings. The win over Chattanooga came on the heels of Friday night’s 95-89 victory over Cleveland State. Motlow will travel next weekend, playing Friday night at Roane State in Harriman, then visiting Morristown Saturday to face Walters State. White, a 6’2 guard from Murfreesboro, was in the right place at the right time Saturday with two seconds remaining and the Tigers leading 74-73. As Chattanooga State inbounded the ball from the baseline it was tipped to White, who got off the game-winning shot just before the buzzer sounded, ending a contest that featured multiple lead changes in the final minutes. Friday’s matchup with Roane State was a close game as well, with Motlow trailing the Raiders at halftime 49-45. The Bucks had one of their best shooting games of the year, hitting 56.3 percent from the field and 11-22 from three-point range, plus connecting on 12-15 free throws. 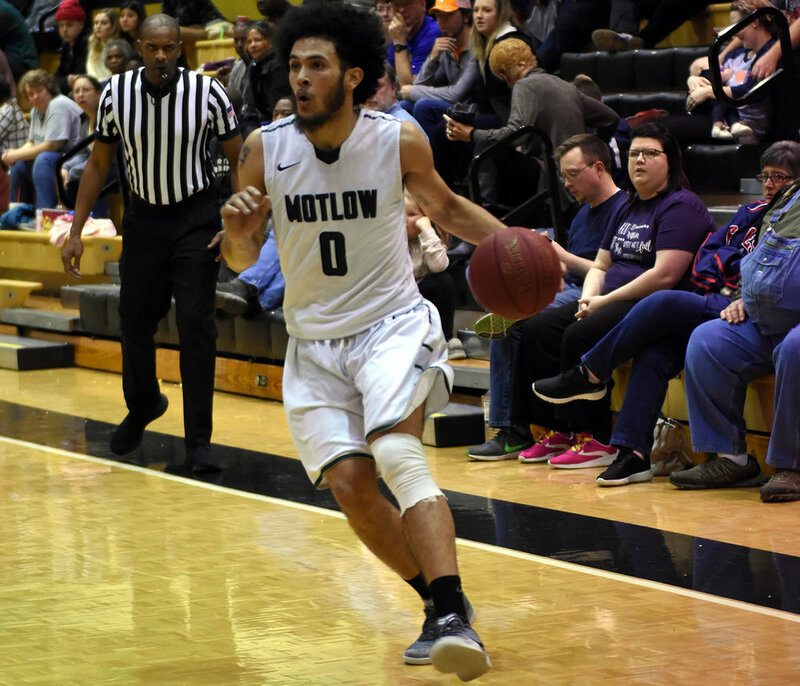 Darius Harding led Motlow in scoring with 24 points and added three assists, two rebounds and two steals. Josh Endicott scored 18 points with 12 rebounds and four assists, Leo Castillo had 13 points, eight rebounds and five assists, Josh Greer scored 12 with two assists, Marcus Lacey had 11 points and 11 rebounds, and Bryce McBride added nine points, Jayvon Humphrey five and Nic Barstad three. Saturday the Bucks led Chattanooga 38-30 at the break and maintained their lead until the final minutes. Motlow’s shooting wasn’t near as good as Friday, hitting 42.6 percent from the field and 12-34 three pointers. The Bucks owned the boards though, outrebounding the Tigers 51-38, and dished out 22 assists on 29 made shots. Endicott recorded another double-double, scoring 18 points and pulling down 12 rebounds and adding two blocked shots. Castillo had 17 points and 10 rebounds, Harding scored 10, Humphrey added 10, and McBride had seven assists.